De Maas SMC uses its vast experience, knowledge and skills that are obtained in the (offshore) oil and gas business and applies that to the offshore wind energy sector. The emphasis is on the fabrication, offshore installation and maintenance of the foundations and wind turbines. For offshore wind farms that will be installed in water depths exceeding 20 meters, De Maas SMC has designed a lightweight lattice foundation structure based on Oil & Gas practices. The tri-leg lattice design ensures that environmental loads from wave and current have less impact on the structure compared to a conventional four-leg lattice structure, also known as a jacket, due to a smaller water cutting area. The triangular base ensures that the reaction forces in the structure and piles are relatively small, which in turn allows for an overall reduction in steel thickness. The footprint is kept relatively small due to the triangular design and will suit the needs for easy transportation. The foundation is able to meet the strict turbine requirements, is competitively priced and can be customized for every specific turbine, type and tower and nacelle configuration. It is able to operate in harsh North Sea conditions and is designed in accordance with the latest IEC, API and DNV (offshore) guidelines and recommended practices. De Maas SMC provides the construction of steel wind turbine foundations - both monopile and jacket type - that are competitively priced with volumes of up to 250 foundations per year through an exclusive long term agreement with fabrication and transportation partners. The fabrication location is equipped with covered construction facilities, ample storage space, dedicated rolling equipment, qualified welders and can produce and handle tubular sizes in accordance with international standards (DNV, NORSOK). The transportation company has a fleet of transport vessels and an excellent track record for transportation of similar equipment. 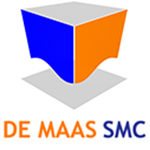 The engineering, site and project management and quality control will be done by a team from De Maas SMC. 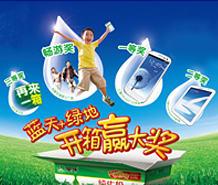 The lump sum construction will include detailed and fabrication engineering, a dedicated on-site management and supervision team and transportation to any location in China, Europe and/or USA. This setup will ensure a favorable price and delivery schedule and a basis for QHSE practices that will be in accordance with the Client’s protocols and procedures. For each project a main point of contact that will handle all project related matters will be assigned. Aside from the commercial advantages of the overall cost structure of wind farm development by fabricating foundations in China, China provides the environment where the substantial scale of production facilities required can be realized in a time and cost efficient manner，thereby accommodating the ambitious schedules and investments for the development of offshore windfarms globally. Global Maritime has designed a dedicated self-elevating wind turbine installation vessel for the installation of foundations and tower-nacelle combinations in water depths of up to 60 m. The elevating and holding system for the legs, supplied by Friede & Goldman, is designed for the complete vessel life time without any off-standard maintenance requirements, though meeting the increased utilization rate typical for offshore wind turbine installation. The vessel is equipped with a 1,000ton ringer crane and the operability, with a significant wave height of 2,5m, is favorable for harsh North Sea conditions and year-round installation and maintenance work. The Wind Jack is based on a proven design with the difference that the Wind Jack has an increased operability, ruggedized elevating system and crane capacity that better suits the wind turbine installation market requirements. The proven design confirms the viability of this concept and the need of dedicated vessels in the wind energy installation market. Based on the Global Maritime basic design, De Maas SMC will deliver the detailed engineering, provide pre-contract services and project management for the construction phase. During the construction of the vessel, construction supervision, quality control and project management will be provided by an experienced site team. During construction and after delivery of the vessel, De Maas together with Ocean Services will market the vessel in Europe to energy companies, renewable energy consortia and marine contractors against competitive dayrates. De Maas SMC can provide advisory, technical and project related services on the location, configuration and installation of (on- and) offshore wind farms in- and outside China. In close cooperation with various international and local wind energy partners and suppliers the advisory services will be tailored to meet individual needs and requirements.